Medications are prescribed with the intent of improving a person’s health and well-being, but as different co-morbid health issues emerge – especially in the elderly – the cumulative risks associated with many different drugs interacting with each other unavoidably begins to outweigh the benefits. 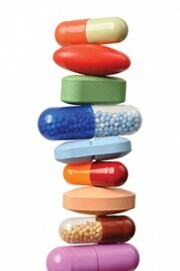 Polypharmacy is often associated with a decreased quality of life, decreased mobility, function, and cognition. Reducing medications takes a coordinated effort from nursing and care staff, pharmacists, and physicians. The involvement of families, effective care planning and the reduction of medicines can dramatically improve the quality of experience of the residents and those who provide care. Our Shared Care Polypharmacy steering committee has seen some great progress on our goal of improving care and the quality of life for the frail elderly. We have a well established core of nursing staff and physicians in the Kootenay Boundary who are committed to reducing or eliminating pharmaceuticals wherever possible. Family physicians, care staff and families across the region are eager and pleased to learn how it is safe to reduce unnecessary medications. As we reduce medicines, we find the patients are living better, the staff are finding more satisfaction at work, and the human and financial costs of burdensome drug cocktails are starting to decline. In the coming months (2014/15), we will continue building on the learning and acceptance of better ways to help our frail elderly complete their life’s journey with dignity and respect.